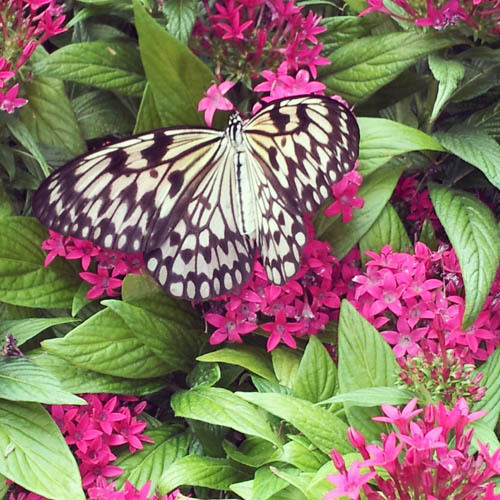 5 Reasons We Love Butterfly Jungle At The Safari Park! 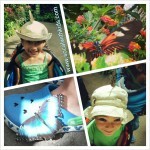 We Love Butterfly Jungle at the Safari Park! 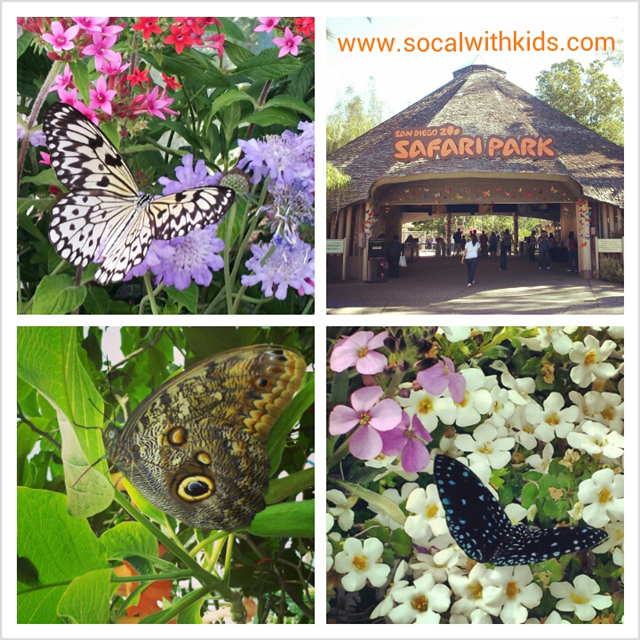 The Safari Park Is All A Flutter With Butterfly Jungle! 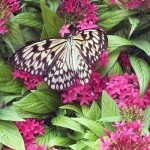 Butterfly Jungle At The San Diego Zoo Safari Park! The San Diego Zoo Safari Park, formerly known as the Wild Animal Park, is all a flutter with their seasonal exhibit, Butterfly Jungle! 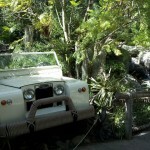 As longtime Passholders, we’ve been to Butterfly Jungle more times than we can count. We were invited to a media preview this year, and are excited to share detailed information about the exhibit with you! Summer Safari ~ A Wild Time at the San Diego Zoo Safari Park! 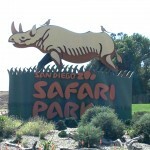 It’s that time of year again at the San Diego Zoo Safari Park, time for Summer Safari! This special event includes extended hours, live entertainment, hands-on activities, neat animal encounters, and more! We had the opportunity to check out the festivities the day before the official kick-off, and saw much of what’s in store for Safari Park visitors. Summer Safari entertainment and activities, which are all included with Park admission, are happening in the Safari Base Camp area, not far from the entrance. 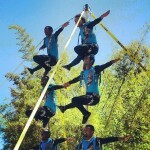 Here you can make a beaded bracelet, participate in an African Drum Circle, and watch performers such as drummers from Ghana and Kenya, Zuma Zuma Acrobats, performers from the African Dream Circus, pole climbing acrobats, foot jugglers, and life-size animal puppets. The performances happen approximately 15 minutes apart, and run from 11am – 7pm. You’ll also find neat Animal Encounters in this area, which are up close interactions with Animal Ambassadors and their Keepers. 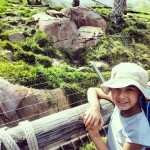 Our kids always love the Animal Encounters! 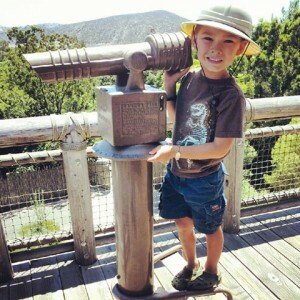 Aside from the special events happening for Summer Safari, you’ll want to check out all the Park has to offer. If you haven’t been before, be sure to pick up a map at the entrance. The back of the map is filled with a daily schedule of events, as well as dining and guest service information. We love taking a trip around the Park on the Africa Tram. By taking the tram, you’ll get a closer look at the animals than you would by foot. The trip is a 25 minute guided tour, and a great way to get off your feet, relax, and learn fun facts. One of our favorite areas to walk around the Park is the African Loop, past the Africa Tram entry. It’s a beautiful walk, and has a neat water play area near James Research Island. Follow the loop all the way around, and you’ll see animals such as Okapi, which look like they might be related to the Zebra, but are actually related to the Giraffe. I highly suggest you take the time to explore this incredible area. If you time it right, you can exit the African Loop, and check out the Cheetah Run Safari, which I believe happens at 5pm during the summer (check the schedule on your map). The area surrounding the Cheetah Run Safari fills up fast, and it’s a good idea to get there a good 1/2 hour to an hour before the time of the run. If the area is filled when you arrive, another good vantage point is high on the deck, next to the elevator that leads to and from Nairobi Village. It’s amazing how fast the cheetah runs! 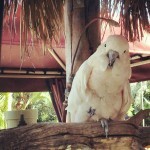 One of the SoCal Kids’ favorite things to do in the Park is to feed the Lorikeets, located in the Hidden Jungle. They also love playing in the water play areas (located in Lion Camp and in the African Loop), and playing at the Fisher-Price® Samburu Jungle Gym, located below the Samburu Terrace restaurant. The water play area near Lion Camp, as well as the Fisher-Price play area are great places for parents to sit, relax, and watch the kids play. Other ideas for fun are the Frequent Flyers bird show, Conservation Carousel, Hidden Jungle (lots of neat botanical and birds), and a walk around the Lagoon Loop. Be sure to wear comfortable walking shoes, as you’ll likely do a lot of walking. If you’re visiting with little ones you can easily push a jogger or stroller along the paths. Be sure to bring your camera. 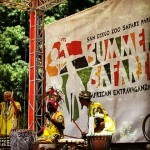 Summer Safari happens June 30th – August 19th, 2012. 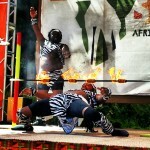 Be sure to check out our images below from the Safari Park. You can find more information about the event HERE. As yearly pass holders, we visit often, especially during the extended summer hours, so perhaps we’ll see you there! 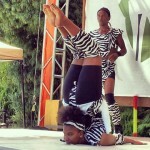 Disclosure: We were invited to visit the Safari Park for the Summer Safari Preview. As yearly passholders, we would have visited the Park to experience the fun on our own had we not been invited. We were treated to lunch, and the kids were given nice goody bags, but we were not compensated by any other means. Our opinions are our own. Thank you to the Safari Park for hosting us. We had a great day!